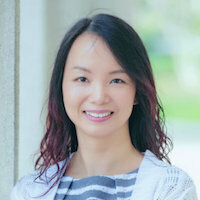 Mike Ilitch School of Business Associate Professor Tingting Yan won the Best Reviewer Award from the Journal of Supply Chain Management (JCSM). The award will be presented at the 2017 Academy of Management conference in Atlanta in August. "This is an impressive award that shows Professor Yan's service to the discipline and the Ilitch School," said John Taylor, chair of the global supply chain management department. "The honor goes a long way in putting our school's supply chain management programs on the global top-ranked map." Yan has served as an editorial board reviewer for the journal since 2014. The mission of JSCM is to be the journal of choice among supply chain management scholars across disciplines. It has been ranked either first or second for the past seven years across supply chain and operations management journals, based on its Thomson-Reuters ISI Impact Factor, and is one of the core OSCM journals included in the SCM Journal List. The Wayne State University Mike Ilitch School of Business prepares students for challenging and rewarding careers, advances the boundaries of scholarly and practitioner knowledge, and enhances the economic vitality of the city of Detroit, the state of Michigan and beyond through its programs, research and community engagement. Established in 1946, the business school was renamed in 2015 in recognition of a $40 million gift from Mike and Marian Ilitch. Thanks to this lead investment, a new state-of-the-art building is slated to open in the heart of the District Detroit in 2018, and entrepreneurial programming and collaboration with city businesses are expanding. For more information, visit ilitchbusiness.wayne.edu.